Now these bags are all the hype at the moment in the US. Everyone in the industry is gearing up for the WPPI convention in Las Vegas and there are some giveaways happening that you might like to know about. First one is on the Epiphanie Blog where you can win a Canon 5D OR a USD$2500 Southwest Airlines gift card - wouldn't that be nice! You don't win a bag but what a fantastic prize. The second giveaway is for an Epiphanie Bag at Tara Whitney's blog. 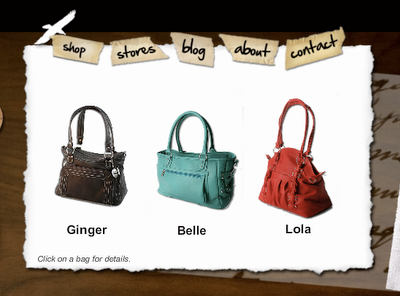 As you can see there are 3 different styles to choose from in the Epiphanie range and whilst they are all very nice, I think the Lola style would be my favourite, it's just a little bit different in shape - more like a handbag! Good Luck if you choose to enter and let's face it what do you have to lose? I'll be back tomorrow with some photos from D&J's wedding I photographed yesterday - I had the best time and what an amazing family they had supporting them. Beautiful wedding!